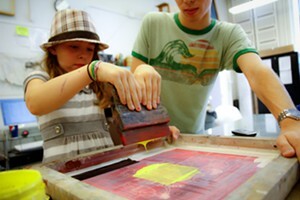 Pottery Wheel | BCA Studios | Classes (Paid) | Kids VT - small people, big ideas! This day is all about learning the basics of the ever-popular pottery wheel. Students will have all day to get their hands on clay, spinning it into small bowls or cups to be fired and glazed by the studio. All items will be dishwasher safe and lead-free. Ages 6-11. Mon., Feb. 25, 8 a.m.-3 p.m., $70/person; $63/BCA members.